You’ve seen vintage glass cookware on Pinterest, and you are determined to build your own collection. The dishes always look so colorful and shiny in photos, weathering the years well on a display shelf, or holding a casserole on a nicely laid table. When you look at your collection up close, though, you don’t see a shiny glaze; you see scuffs and black marks and baked-on grease. Over years of use, colorful cookware begins to lose its luster. 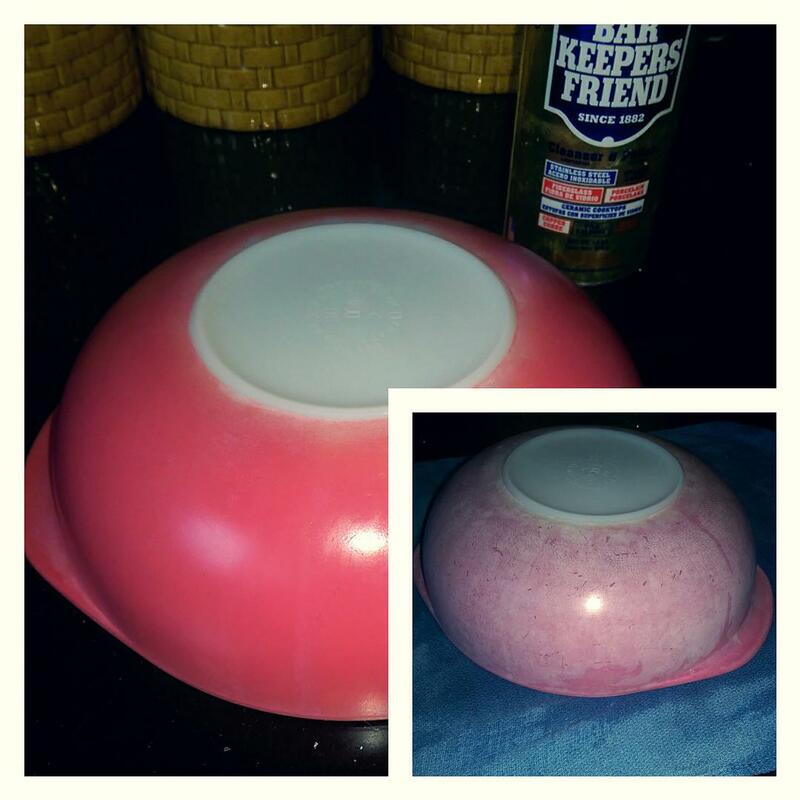 So, how do you remove scuff marks from Pyrex or other vintage glass cookware and make it look pretty again? 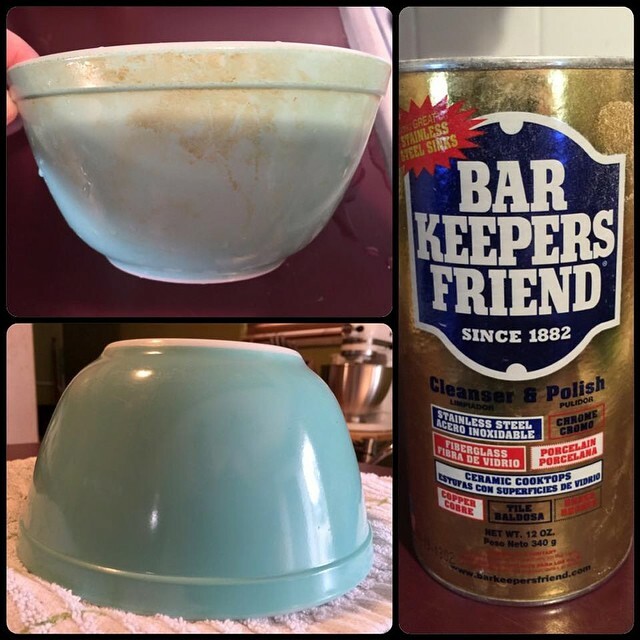 Bar Keepers Friend can help. 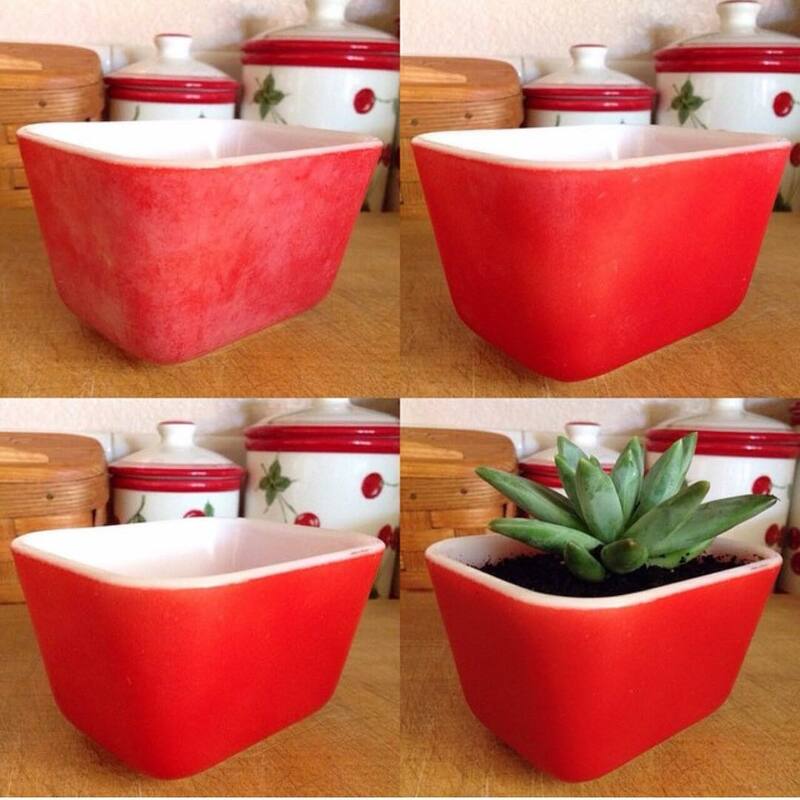 If you need inspiration, peruse Tanya’s gorgeous Pyrex collection on her Dans le Lakehouse blog. Tanya is a turquoise and Pyrex enthusiast and has a stunning variety of the gorgeous vintage glassware. 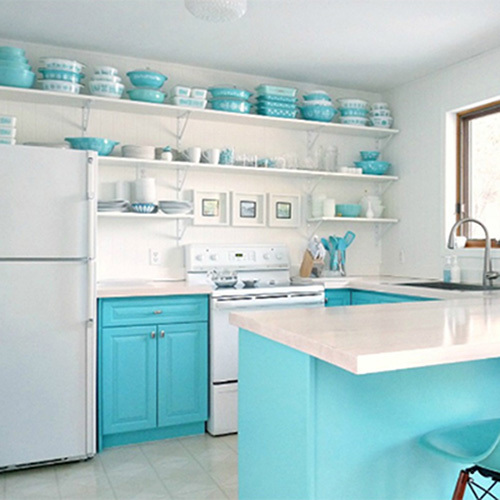 In fact, her kitchen is designed around her Pyrex collection. And, it is dreamy! She has removed ugly black marks from vintage Pyrex and brought dishwasher-dulled pieces back to life using Bar Keepers Friend. 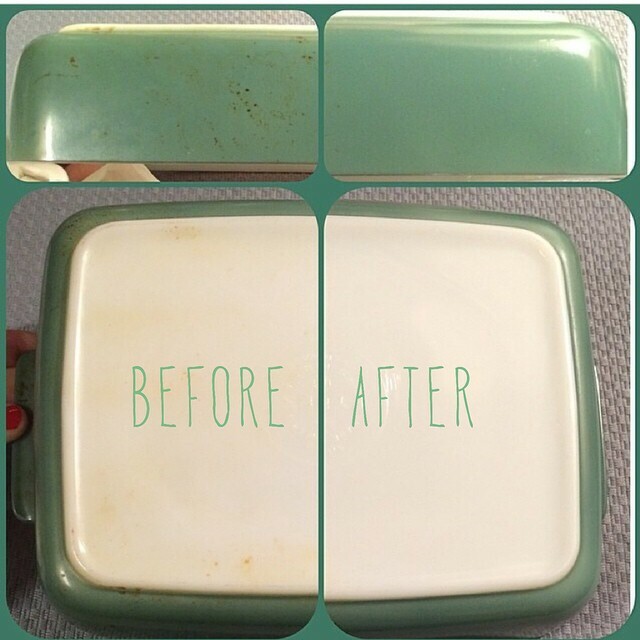 DIY Deep Clean’s video shows how easy it is to clean up vintage cookware, Pyrex, and plates. 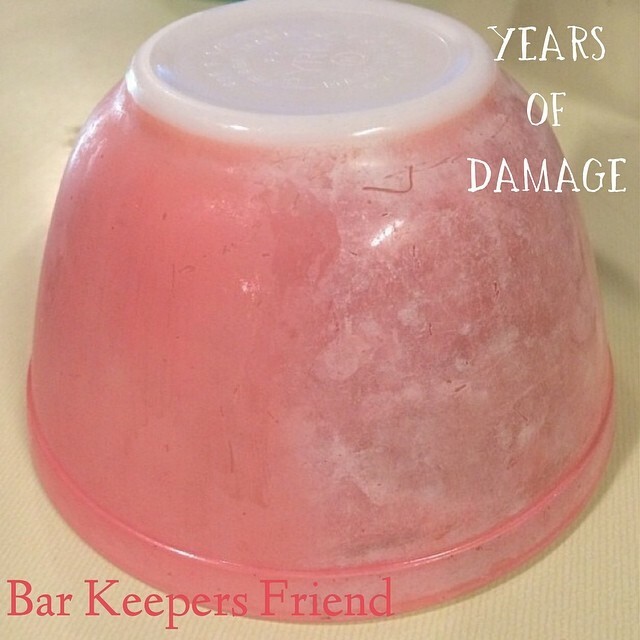 *Disclaimer: We do not recommend leaving Bar Keepers Friend on items for an extended period of time. We suggest one minute on, rinse, and repeat as necessary. Download our easy-to-follow How to Restore Vintage Dishes guide. 1st time using Bar Keepers Friend, and I love it. It’s like magic!!! !